We’ve rounded up the top Halloween events happening in and around Clifton Park so you can have a spooktacular time this weekend! And if you’re not into Halloween, there are great non-scary events taking place too. The annual Clifton Park Halloween Parade will be at Clifton Common on Friday. There will also be pony rides, a bounce house, and a Trunk or Treat. A Trunk or Treat will be going on at Prince of Peace in Clifton Park. Rain or shine, come out for trick-or-treating fun, hot chocolate, cider doughnuts, and live music from Stretch. The second annual Halloween Dance Party is happening at Sprinkles Kids Spa. Admission is $15 per child or $25 per family, and the price includes music, dancing, pumpkin decorating, games, snacks, and candy. Tricks, treats, crafts, dancing, storytelling, and spooky science is just some of what will be going on at the Halloween Spooktacular at the New York State Museum in Albany. Colonie Center in Albany is hosting a number of fun Halloween happenings, including a monster mash dance party, a costume catwalk contest, and pumpkin decorating. How does a witch-themed bar crawl sound? Enjoy walking around Ballston Spa in a witch costume making the most of area bars. The cost is $25 and you must wear a witch hat. 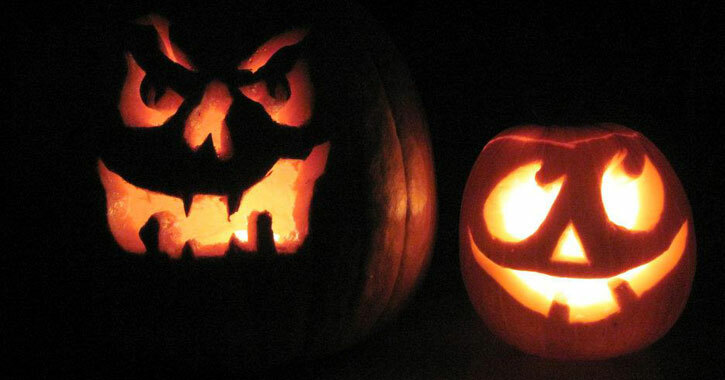 This Halloween party at Nostalgia in Malta will have a fortunate teller, drinking games, non-drinking games, trivia, and there will be prizes for best costume and best carved pumpkin. The Mill on Round Lake will have a live DJ, dancing, spooky snacks, drink specials, and a costume contest on Saturday. And, if you live within a 15-mile radius, you can get a free Uber ride home! The Saratoga Downtown Business Association is hosting their annual fall festival this Saturday. You can expect live music, Halloween crafts, magic shows, pumpkin pancakes, trick-or-treating, and more festive fun. Have a spooky good time at the Washington Park Lakehouse in Albany on Saturday for the annual Halloween party put on by the Lark Street BID. Admission is $40 and includes complimentary craft beverages, a photobooth, and prizes for best costumes. The Breeders are performing at Upstate Concert Hall along with the Screaming Females. The Breeders are an alternative rock band with Kim Deal of Pixies, and tickets are $30 in advance or $32 day the of the show. See the metalcore band Emmure perform at Upstate Concert Hall on Sunday along with Wage War and Sanction. The Albany Sports Card & Memorabilia Show is back at the Park Manor Hotel in Clifton Park. Admission is just $3 and you can browse vintage sports cards, modern sports cards, non-sports cards, and more memorabilia and collectibles. The Not So Common Players will present Nunsense the Musical at the Clifton Park-Halfmoon Library. This is a comedy about the Little Sisters of Hoboken who discover their cook has accidentally poisoned 52 sisters and they must raise money to afford the funerals.